Gokyo Lake Everest Base Camp is undoubtedly the most dramatic and exciting trekking trail of the Everest region. 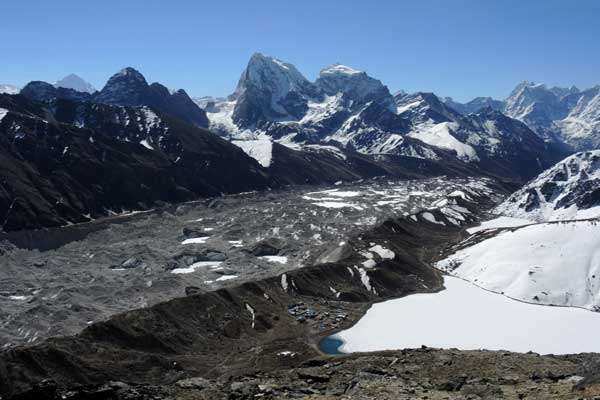 The Gоkуо valley and Everest Base Camp are two different trekking trails, but the combination of both treks offers extraordinary mountain experience and alpine Gokyo Lakes. The trek is two different valleys linking by the Cho -La Pass. It includes spectaculars views of Mount Everest from Gоkуо Ri and Kalapathar as well as other impressive peaks. 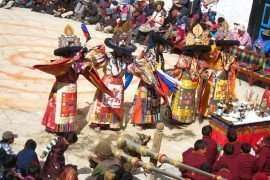 Moreover, the glacier, the culture of Sherpa, Alpine vegetation, Stupas, and monasteries are visible during the trip. 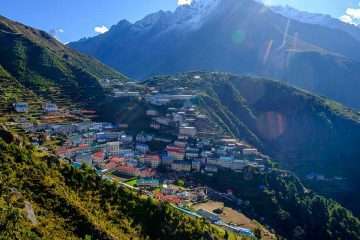 Likewise, the great villages of the Everest region including Namche and Tengboche monastery fall on the route. 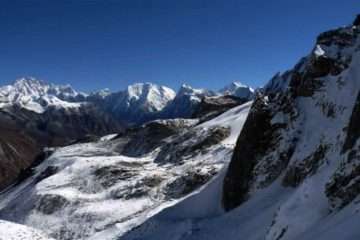 So Gokyo valley Everest Base Camp is a popular trekking destination in the Everest region. The adventure of Gokyo Lakes Everest Base Camp Trek begins from Lukla once a spectacular flight made from Kathmandu. 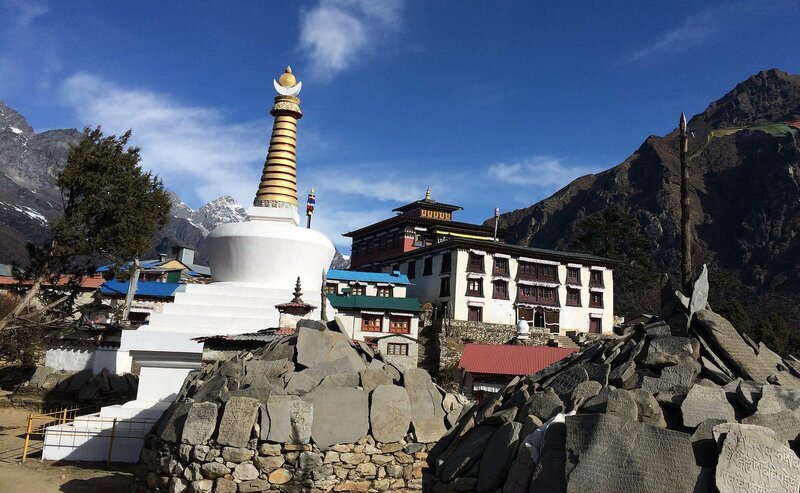 The trek passes through the heart of Khumbu valley since it exposes beautiful Sherpa villages, Monasteries, stupas, Mani wall, seeks wild-life and unveils mountain scenery. Furthermore, trek to the Gоkуо Valley gradually climbs up taking a short-day journey for the proper acclimatization. Finally, cross over an elevation of 5370 meters Cho-La Pass from sea level that linking the Gokyo valley and Everest Base Camp. 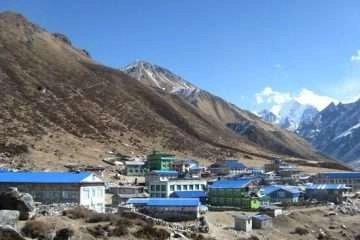 So, Gokyo Lake Everest Base Camp Trek requires good physical condition and mountain experience. There may also be the best time to visit Everest Base Camp, and at some stage in March, April & May also will view the many expedition camps. 6: Trek to Dole. (4,200 m) 6h00 walk. 7: Trek to Machherma. (4,470 m) 5h00 walk. 8: Trek to Gokyo (4,790 m) 5h00 walk. 10: Trek to Dragnak (4,700 m) 3h00 walk. 14: Hike to Kala Pattar – Pangboche (3,900 m): 7h00 walk. 16: Trek to Lukla (2,652 m) 7h00 walk. 18: Free day at Kathmandu. is more equipped with modern amenities such as internet, phone, massage and more. As usual as other days, your journey begins after a short climb and easy walk to the underneath of a rocky hill and continue to climb up passing by a few lakes along the trail. Finally, we reach Gokyo Lake. You are entering the east valley with easy downhill to get Labuche passing by pas pastures, beautiful mountains scenery and glacier. The trail leads plane trail but the feeling shortness of breathing due to altitude with spectaculars views of mountain surrounding. As we take a short break for Lunch, then continue to walk to Everest Base Camp along the rocky and glacial trail.The trail continues the climb to Gorak Shep, check in to Mt. Lodge, lunch and start your hike to EBC. Then return the same trail to Gorakshep. Day 14: Hike to Kala Pattar – Pangboche (3,900 m): 7h00 walk. Today is another climax of the trek; you will wake up in the early morning and climb up to Kalapathar (5545 m) to see the sunrise on the top of the world, Mt. Everest and other Himalayan range. Then descend to the same trail to Pangboche. Day 16: Trek to Lukla (2,652 m) 7h00 walk. Day 18: Free day at Kathmandu. Today is the last day in Nepal and with us. You will transfer to the airport three hours before your scheduled flight. Rates quoted in (US$ dollars) and payable in any currency. All prices published on our websites are set as low as possible. The prices may vary at any time subject to government actions, currency fluctuation, fuel prices and unforeseen circumstances. However, we guarantee our prices which have already signed up for your tour. Please consult us for a customized quote.